Home of some of New York's cutest animals, The Bronx Zoo recently welcomed its first ever home-hatched Little Penguin! 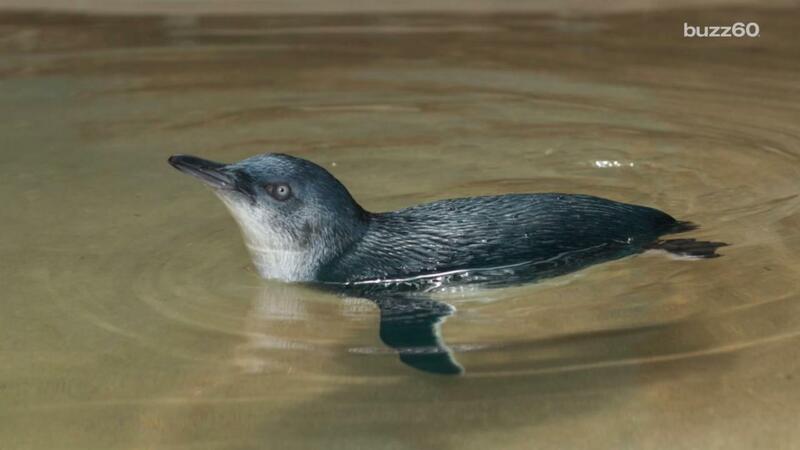 The adorable chick made its debut this week alongside fellow Little Penguins at the zoo, and he seemed very happy. The egg hatched on May 10, and it is the first time the New York zoo bred one of the rare penguins in its extensive 120-year history. Though the zoo is home to an existing colony of Little Penguins, none have ever been hatched in-house. They are usually hatched at the Taronga Zoo in Sydney, and were brought to New York as part of a breeding program. The cute little guys are also called Fairy Penguins and Blue Penguins. They are the smallest of the 18 known penguin species, weighing in at only two to three pounds as adults. The chick has some cool neighbors, like the Caribbean Flamingo and the Inca Tern. They all reside at the Aquatic Bird house and Sea Bird Aviary at the Bronx Zoo. Pay them a visit! If you're lucky, the new Little Penguin might even sing like Mumble in "Happy Feet."